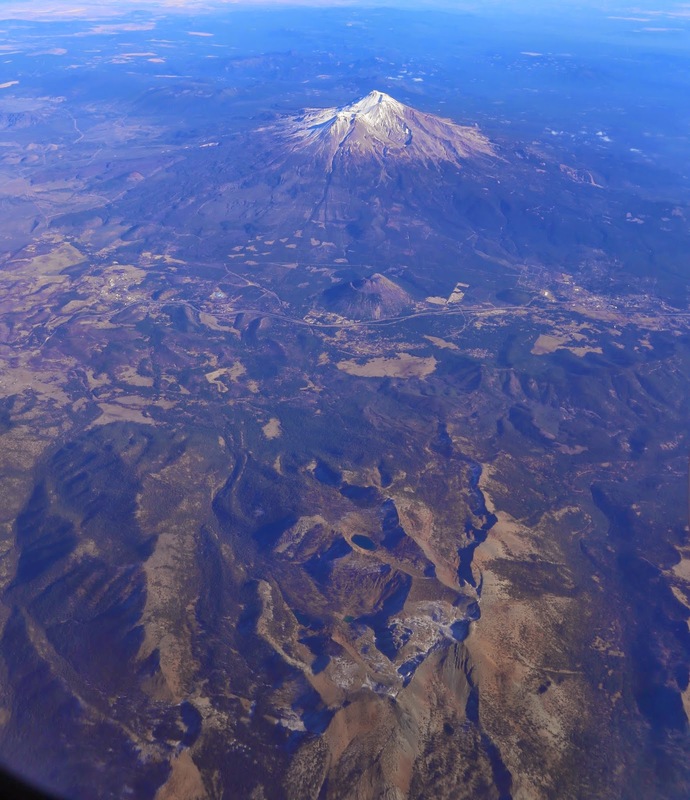 Mt Shasta rises above 14,000ft in northern California. This is the view from the west, with the Pacific Crest Trail, Little Crater Lake, the I5 freeway and Black Butte all visible in the foreground and leading up to the volcanic peak itself. Shastina is a satellite cone attached to the main mountain and would be an impressive peak if it weren't overshadowed by its prominent host.